Posted on 27th April 2017 at 09:54. As we discussed in our previous blog, online video marketing is pretty powerful. It’s exploded in recent years with the help of social media platforms and an increasingly impatient society; now, we prefer to receive information quickly and effortlessly. For businesses who don’t already incorporate video into their marketing strategies, it can feel overwhelming to consider producing and sharing video media online – not to mention expensive. But effective marketing videos don’t have to be big productions (with even bigger budgets). Here we explain how you can share a slice of the action online – and why size (and money) doesn’t always matter when it comes to online video marketing. 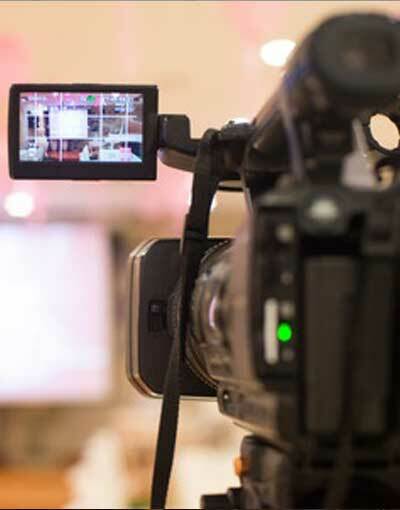 The first thing to consider is how much of your marketing budget you want to devote to video. Portion at least £100 a month – then calculate a six-month budget. This will give you enough funds to purchase some basic equipment, and hire any additional help as needed (such as editing or script writing). You will need some equipment – but it needn’t consist of a TV-quality video camera, sound system and state of the art editing software. Start small – with a smartphone or HD digital camera. This is likely to be your largest outlay – but that’s important, as you need the raw quality of the video to be as high as possible. Tripods are inexpensive – as are portable backdrops and microphones. Save any leftover cash to help you to upgrade or purchase necessary add-ons as your video campaigns progress. Now you’re set with everything you need to create a marketing video for your business, it’s time to think about how you want to approach your audience. Brainstorm ideas – try to think of something different, unique. Take a look at what is working well for competitors – and how the videos they create could be improved upon. Keep your audience front of mind at all times – remember that this is about information they want to hear, and how they want to receive it. What will be the nature and purpose of your video? Perhaps it’s a demonstration of your latest product. Maybe a client is going to talk about their experience with you in the form of a video testimonial. Remember to stay within the limitations of your equipment – it’s best to produce something basic yet high quality than a shoddy version of a trickier concept. Want to learn more about how a positive presence online could affect your profits? Contact us today – or take a look at other articles in our Beginners’ Guide to the Web series here.